France said Wednesday it stood by its choice to send a gay diplomat to the Vatican despite three months of silence from the Holy See over the appointment. Paris has had no news on whether Laurent Stefanini, an openly gay Catholic, has been accepted to serve as its ambassador to the papal state. However despite the lengthy delay -- seen as indicative of a rejection -- French government spokesman Stephane Le Foll said Paris was not changing its nomination. "France has chosen its ambassador to the Vatican. This choice was Stefanini and that remains the French proposal," the spokesman said. "Negotiations are under way. Every ambassador must be approved when they are nominated... we are awaiting the response from the Vatican." While the Vatican usually declares it has accepted a candidate around a month after an appointment is made, it makes no public statements at all if the answer is no. 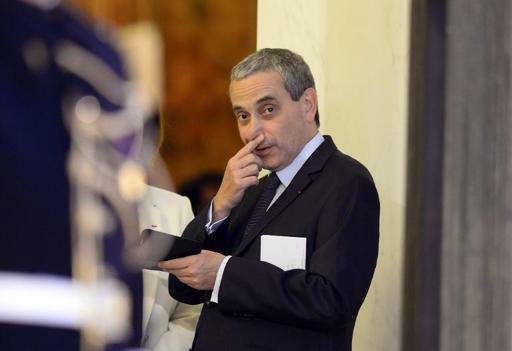 The French cabinet approved the appointment of the 55-year-old Stefanini on January 5 but has not yet received a reply. "A delay of three months like this is not normal," a source in Rome told AFP last week. If there is a refusal, "the Vatican doesn't reply, doesn't offer an explanation and it's up to the country concerned to interpret this lack of a reply." The radio silence has prompted much speculation in French and Italian media over reasons the Vatican may have to snub Stefanini -- who already served in the Holy See as number two in the French embassy from 2001 to 2005. Italy's La Stampa daily's Vatican Insider blog said Stefanini's position on gay marriage -- not his sexual orientation -- may be the problem in getting the Vatican's green light. Pope Francis has been credited with bringing a more pragmatic approach to the Church's view on homosexuality, with previously unheard-of papal comments such as "Who I am to judge?" about gays. Francis' papacy -- he is the first Jesuit pope and the first from South America -- has marked a series of breaks with Vatican tradition. However his views on issues the Church deems sinful -- including divorce -- have irked conservatives who have tried to put the brakes on his reform drive.